Since we adjusted our diet to eat fewer carbs, I started using cauliflower more regularly in different ways, especially as a side dish. 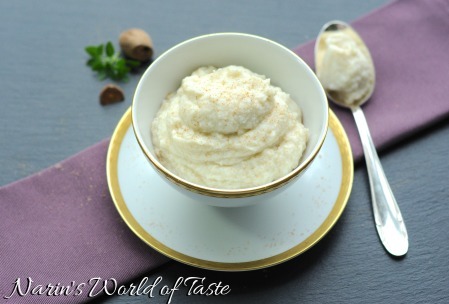 This cauliflower puree is a delicious side alongside any kind of fish or meat, for example, with Filled Meatballs in Tomato Gravy or Fillet of Beef on Mushroom Sauce. 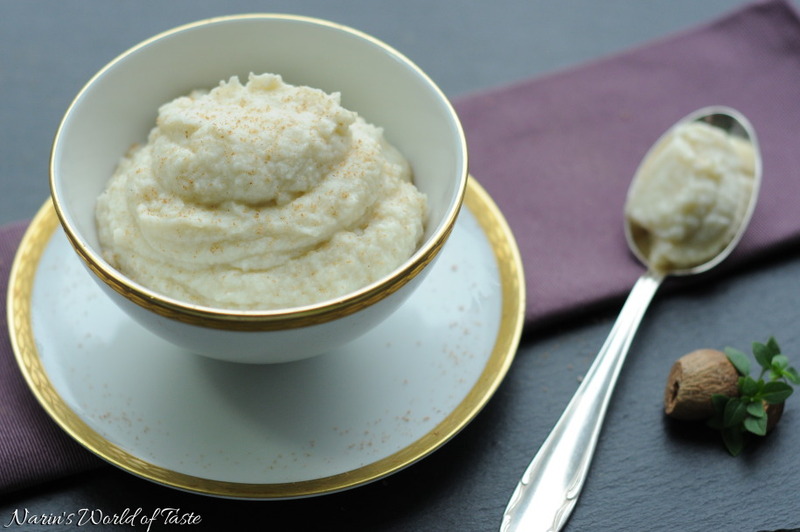 It’s a delicious and healthy carb-free alternative to mashed potato because the texture is similar and the taste is even more refined with the fine milky and almost nutty flavors of the cauliflower. 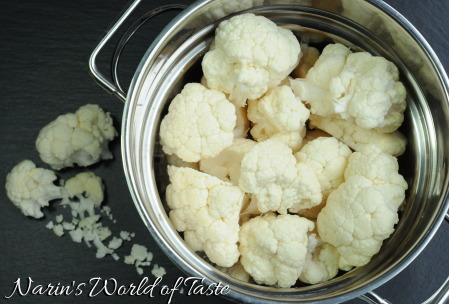 Cauliflower is an excellent source of vitamin C, vitamin K, folate, pantothenic acid, and vitamin B6, so not only delicious, but also very healthy! 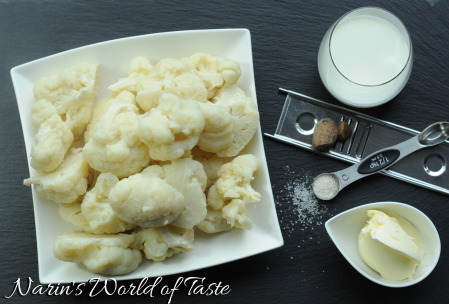 Steam the cauliflower until it’s soft. I never boil it, because boiling takes away valuable nutrients. 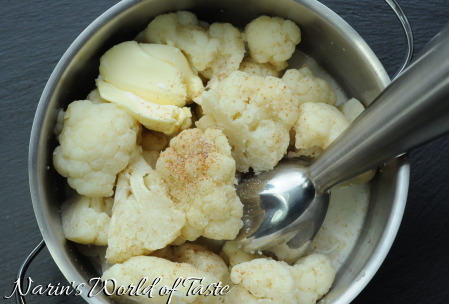 Place the steamed cauliflower into a pot and add the butter and milk. Also already add a pinch of ground muscat nut, a tsp of salt, and some pepper. Now puree it with a hand blender until smooth and silky. Give it a taste, and season again as needed with some more muscat nut, salt & pepper. Serve it on a side dish (as in the picture) or directly on the plate. If you have food forming rings, you can use them to make the plate look especially nice.